Candidates must possess, or be expected to achieve, a 1st or 2nd class UK Honours degree in a relevant engineering or science-based discipline, or the international equivalent of these UK qualifications. Other relevant qualifications together with industrial experience may be considered. The UK has recognised a national shortage of engineers and scientists, especially in the energy , environment, transport and education sectors, leading to the loss of billions of pounds for the economy. In response to this growing demand and with the current focus on environmental issues, graduates of this course can expect to be highly sought after by employers. The MSc in Environmental Engineering is designed to equip students with a set of knowledge and skills which will enable them to solve a wide range of environmental engineering challenges. The course covers municipal and toxic waste management , process emissions, contaminated land and water and waste disposal. The programme also addresses energy and resource recovery from waste materials. 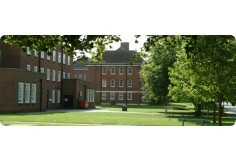 Cranfield has a well established reputation for its applied research in environmental subjects. The University is home to the Centre for Water Science, the largest postgraduate group specialising in the engineering and management of water in municipal, industrial and natural environments, and the £3.5m Risk Centre, a specialist centre for research and education in strategic environmental risk appraisal, supported by the Department for Environment, Food and Rural Affairs (Defra). Students will benefit from dedicated state-of-the-art facilities including soil and water laboratories. We also have access to major waste management operations in the region. The MSc course comprises eight assessed modules, an integrated group project and an individual project. Students undertaking the Postgraduate Diploma (PgDip) complete the eight modules and the group project. Postgraduate Certificate (PgCert) students are required to complete six of the eight modules. The modules include lectures and tutorials, and are assessed through examinations and assignments. There is an emphasis on analysis of real problems.